FlocClays are bentonite and organoclay based flocculants in powdered form that remove oils, grease, surfactants, dyes, inks, coolants, solvents, metals and heavy metals and suspended solids from wastewater. FlocClays consist of bentonite, organoclay, and other basic items that cause encapsulation of oils and greases, removal of other organics by partition and chemical bonding, as well as removal of heavy metals by precipitation, ion exchange and chemical bonding. Typical treatment methods require the addition of various chemicals to break oily emulsions, precipitate heavy metals, coagulate, flocculate and condition sludge. Usually several steps are necessary, requiring the use of multiple mixing tanks and additional equipment. It is not uncommon for this process to take several hours to accomplish these goals. FlocClay causes flocculation of contaminants in minutes rather than hours. Using the FlocClay one step method, the entire treatment process can be accomplished by the addition of a small amount of FlocClay directly to the wastewater stream. 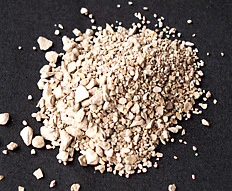 FlocClay powder flocculants are useful for treating wastewater streams of 50,000 gallons or less per month. They are able to remove oils, other organics and heavy metals simultaneously without the need for pre-treating with acids and salts. Removes broken oil emulsions, suspended solids, heavy metals in acidic conditions, latex. FlocClay 200 contains a coagulant. Under alkaline conditions, removes emulsified oil and grease, and heavy metals. An organoclay-based flocculent. Removes slop oil, trap oil, motor oil, hydraulic oil, vegetable oils, synthetic oils and greases, and transformer oil with PCBs to non-detectable levels. Encourages recycling of water and allows for zero discharge. Solvents are also removed to low levels. Requires a 5-minute mixing time. Organoclay-based flocculent that removes anions such as hexavalent chrome, arsenic, selenite, cyanide and chlorinated organics such as colors, humic acids, dyes and inks. Requires a 5-minute mixing time. Organoclay/activated carbon-based flocculent that removes oils, greases, surfactants, soaps, detergents, metals, and volatile organics from wastewater. Used in car and truck washes, bilge water cleanup, storm water runoff, laundry wastewater. Requires a 5-minute mixing time. Removes phosphates derived from fertilizer. Removes phosphates from plating wastewater.